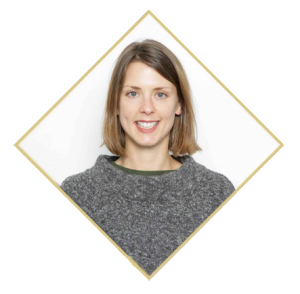 Naomi Langford-Archer is a registered nutritional therapist. Her natural approach to optimal health and wellbeing takes you through an initial one hour consultation covering all systems of the body and mind to ascertain the root cause of your concern with the use of functional testing where appropriate. It is a natural drug-free holistic approach to health which does not have a ‘one size fits all’ approach. No concern is too big or too small so please don’t settle for average, everyone should be given the opportunity to feel full of health, vitality and positivity every day. Health complaints could be absolutely anything, here are a few examples of common areas of concern: headaches, migraines, PMS, menopause, eczema, psoriasis, asthma, IBS, stress, anxiety, depression, insomnia, chronic fatigue, autoimmune conditions, joint pain, back pain, weight loss, hypothyroidism, pregnancy care, childhood illnesses, autism, ADHD, as well as preventative treatment from illnesses such as cancer, dementia and Alzheimer’s disease. Also natural approaches to anti-ageing both on the inside and out. What to expect – you will receive a booking confirmation email including a nutritional therapy questionnaire and a 3 day diet diary to complete and return via email or post prior to your appointment. Your initial consultation will last approximately one hour in which time Naomi will take a full case history covering all systems of your body (for example respiratory, urinary, circulatory, immune, endocrine etc.) looking at the symptoms you have come with and ascertaining the root cause(s) of your concern(s). It may be that functional testing is required which will be discussed in the consultation. Your tailor made wellness plan will then be discussed to make sure you are happy and comfortable with the suggestions. This will then be emailed over to you within 48 hours after the consultation. Supplement’s and functional testing may also be recommended if appropriate. Naomi is also a qualified mitochondrial therapist which is a therapy that works by resetting the autonomic nervous system to bring the body back in to balance so that it is able to repair itself and produce optimal energy to function efficiently as well as reduce the ageing process. The treatment came about due to Russian scientific research whilst working with NASA to reduce the ageing process of astronauts (the body ages a lot faster in space). This has since led onto other revolutionary medical results. Naomi uses a 5 minute heart rate variability test while you sit relaxing in a chair. The reading produced by the test offers information relating to how your body is currently functioning. Your readings can indicate if you can lose weight, or produce optimal energy, if your immune and hormonal systems are functioning as healthy as possible, and if you have the ability to adapt to the sum total of all your stressors. All of the above are managed by the autonomic nervous system, which is also known as the master regulator of metabolism. The key is to ensure your ANS is balanced and it all starts with energy. Energy is produced in our cells and all cells are powered by mitochondria. Mitochondria begin to decline with the ageing process, and according to the latest Russian research, the ageing process begins at 26 years old! Based on your individual reading Naomi can recommend dietary supplement formulas, designed for and used by Russian cosmonauts. The supplements do not ‘treat’ anything but they support regeneration at the systemic level. The process of regeneration takes, on average between 12-20 weeks. We repeat HRV tests every 2 months to determine the effectiveness of the supplementation. There is no placebo effect with HRV tests. £60 for a consultation and HRV test.